A medieval designed chemise with drawstring at the neck and elastic at the elbow. 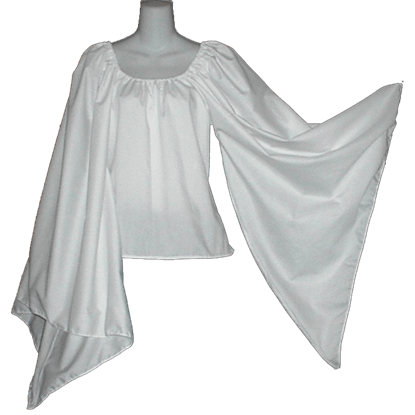 The Anne Of Cleves Chemise has stylish sleeves below the elbow and forms nice frill on the elbow. Lace on the back gives it nice and curvy fit. 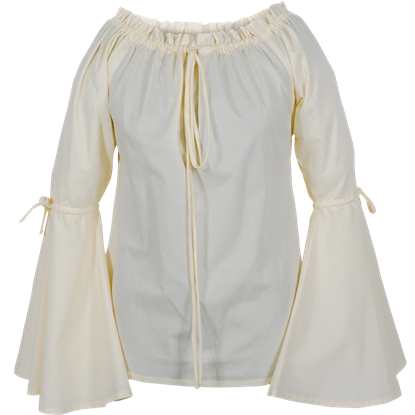 The chemise was worn under medieval ladies clothing. It kept the outer clothing cleaner by absorbing perspiration. The Black Chemise was often slept in as well. This is a handmade medieval style chemise made from Cotton fabric. 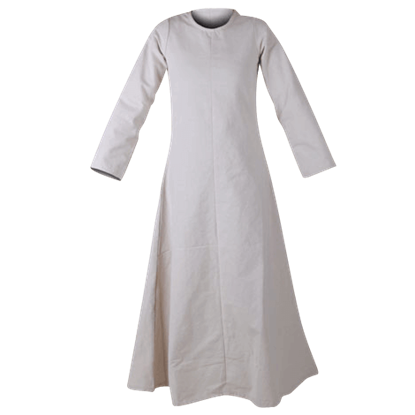 This classic medieval chemise is made of high quality rayon fabric which gives flowing and flattering look. Its classic medieval design makes this chemise a necessary part of your medieval wardrobe. When something is casual, it is something that you can wear every day. Well, you can certainly do that with the Casual Bell Sleeved Medieval Shirt, whether you are costuming at the fair or creating your unique style!